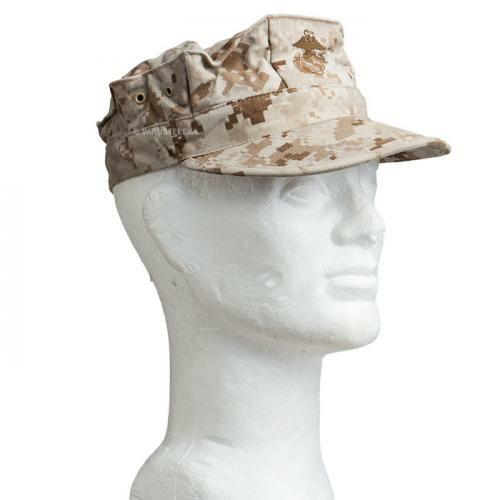 Genuine USMC field caps in Desert MARPAT. We have given the approx. head circumference in centimetres for each size. Made of 50% cotton and 50% nylon twill. Used, but in nice shape. 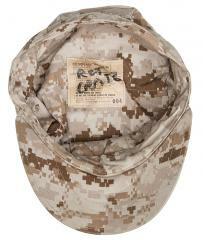 Almost every hat had the previous owner's name marked on the tag inside.